We have several projects for 2011.
and a New Church Building in Chiligatoro with a budget of $ 22,000.00. A members house where they are meeting now. 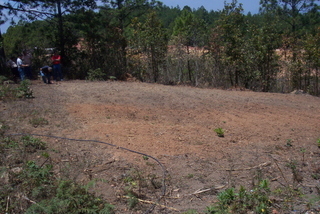 Land where the New Chiligatoro Church will be built. 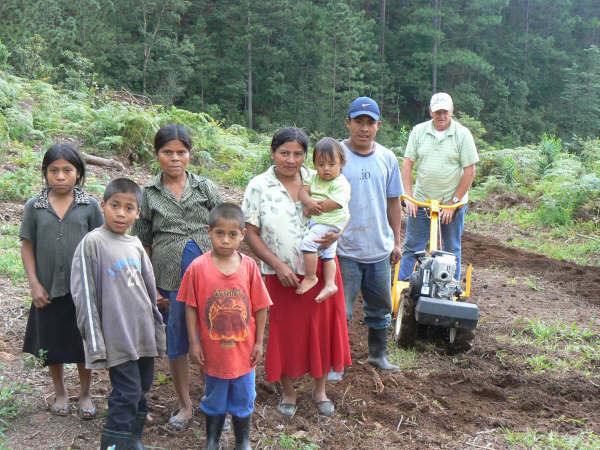 The vision for the Tiller Project is to supply a local church or area in Honduras with a Heavy Duty Roto Tiller and funds to provide for the seed, fertilize and other things needed to produce food crops for up to 6 families per Tiller. The Tiller will be placed with a church Pastor or a trusted individual in the area to serve as a supervisor for the Roto Tiller, the Tiller will be available for multiple families to use instead of sticks, hoes and or shovels to till the soil. With this Project as with future project, the Ministry will not only furnish the Tiller but seed, fertilizer, insecticides, fuel and maintenance for the Tiller. 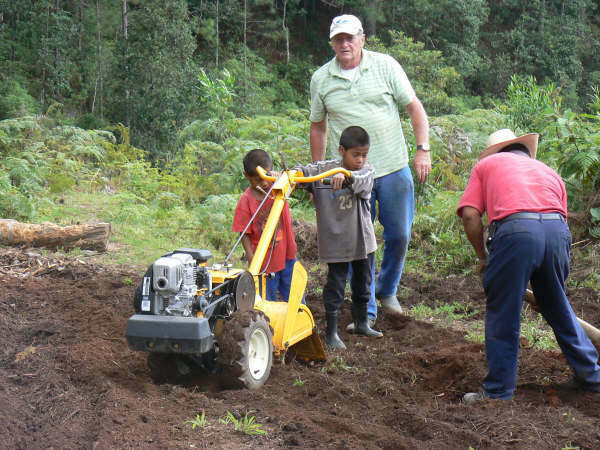 Don Boyer pictured above, is now supervising a Tiller in the La Esperanza area of Honduras. 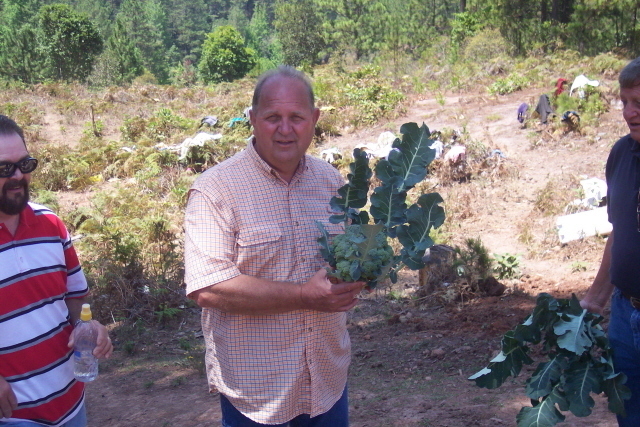 He has thrown himself into this Project and now has 5 families that he is working with to produce food for their families. The tiller works much better in a garden than this yoke of oxen!!! 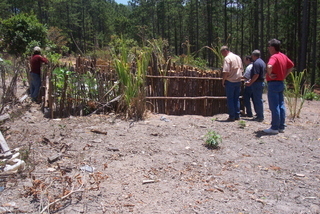 Don currently has 5 families involved in this Tiller Project. 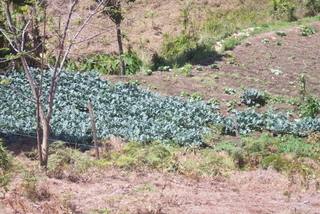 We were able to visit 4 of these gardens on our March Trip and they are pictured below. 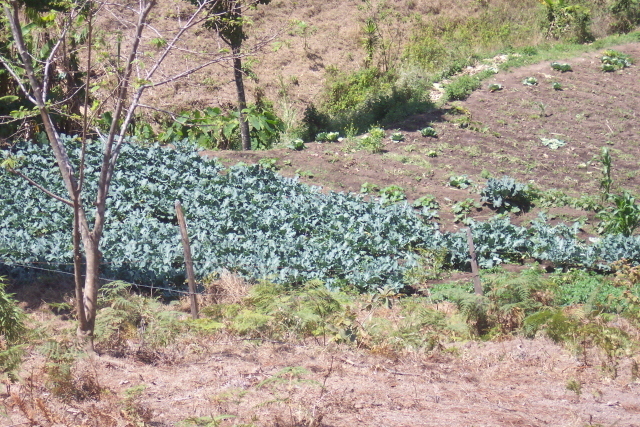 A brocoli patch is ready to harvest . 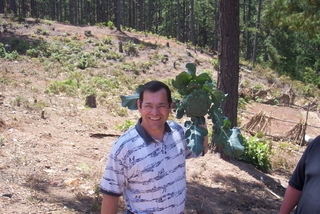 See the size of that head !!! Think it was a fluke?? 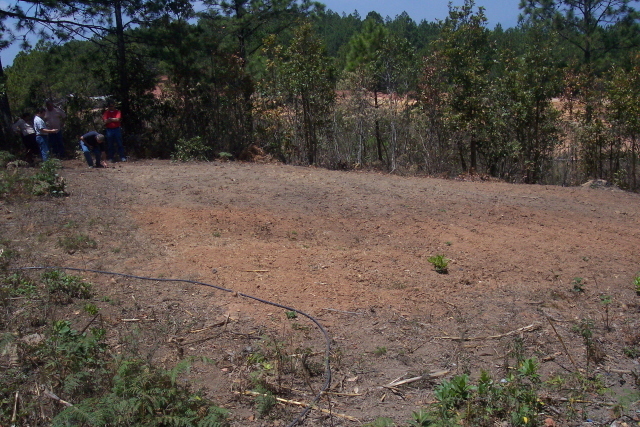 Garden # 3 has just been cleared and getting ready to plant. We were told that these Garden Projects are a God send to these people. We give praise to God and thanks to those that made these possible!!!!! A special thanks to Don Boyer for his tireless efforts with this Project!!! !